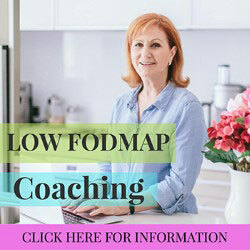 You can view a low FODMAP meal plan video from Suzanne showing a typical day using her personalized meal plans. If you have IBS, you may be afraid to leave your home. You feel like a prisoner, living a small life, tied to the toilet. You struggle with symptoms that impair your physical, emotional, economic, educational and social well-being. This is a silent affliction because of the shame attached to bowel issues. Health practitioners are at a loss what to do. The majority dismiss the impact it has on your life because it is not life-threatening and has no cure. You are given Band-Aid medicines that ultimately do more harm than good, or you are told to see a psychologist. However, the last decade has brought about a revolution in our understanding of IBS since the creation of the low Fodmap diet at the Monash University in Australia. Their in-depth research studies have proven that the diet dramatically decreases the symptoms in 75% of IBS sufferers. This diet is the answer that you have been seeking. The University of Michigan recently completed their own comprehensive research study into the low Fodmap diet and came to very similar conclusions as the Monash University study. However, this diet is complicated and not just about a list of good foods and bad foods. In fact, that alone does you a disservice because this diet is so much more. It is about amounts and combinations. 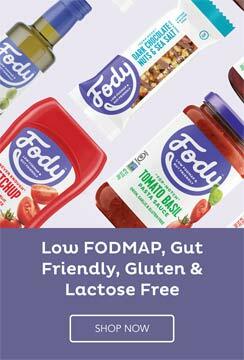 There are also other non-Fodmap related gut irritants that can cause symptoms even if you are following the Fodmap aspect one hundred per cent. Eliminating IBS symptoms is a complex puzzle that includes many pieces to make up the complete picture. One place to start is with an accurate customized meal plan made especially for you with all your likes and dislikes taken into account. This removes the guess work from meal planning and reduces the possibility of mistakes. If you want to get a head start on how this diet really works then get one made up for you. 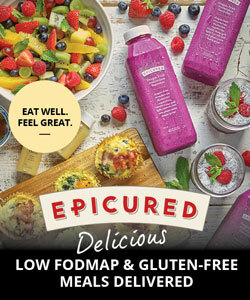 Read more about how to go about that at the Strands of My Life Low FODMAP Meal Plans page.